Preview: Southern Miss has been mired in an extended rebuilding process after being one of the more successful “mid-major” programs less than a half decade ago. The Golden Eagles showed they could stay competitive in conference play, but Southern Miss came up short in nearly all of their close games as they went on to finish the season 3-9 overall and 1-7 in conference. Head coach Todd Monken has had his hands full trying to turn this program around and over the past two years his team has gone just 4-20 overall. Small steps were made last season and with the roster continuing to rebuild depth look for the team to make another step forward this year. The offense returns 9 starters to a unit that’s hoping to lead the Golden Eagles back to a bowl appearance. The QB position returns starter Nick Mullens, but the incumbent will get a run for his money as he tries to fend off TCU transfer Tyler Matthews. Monken recruited Matthews when he was at Oklahoma State and the two are familiar with each other. The O-line returns 4 starters and the unit now has considerable depth which is a great sign for the offense. The RB position returns depth, but the unit is looking to get more production out of guys like Smith, Payne, and Parks. The WR position also returns experience with 3 returning starters including Casey Martin who led the team in receptions in 2014. As expected from a team that one just 1 conference game, USM ranked near the bottom of the conference in many defensive statistics. The defense returns just 4 starters and it hurt when DT Rakeem Nunez-Roches decided to declare early for the NFL draft. The Golden Eagles also lost their top 3 tacklers from last season to graduation. This season the D-line brings back 1 starter to a unit that be rebuilding. The LB corps returns veteran Brain Anderson who’ll lead the defense with Elijah Parker and D’Nerius Antoine. The secondary brings back 2 starters to a unit that will build around the talented Picasso Helson Jr. Prediction: The team continues it long and grueling rebuild, but as the Golden Eagles add depth look for Monken to show more confidence in his offense. The addition of transfer QB Matthews is interesting and if he starts he’ll add a run dimension as a better dual threat than Mullens. Southern Miss needs to get better on offense and this side of the ball is where the team looks to show gains in 2015. The defense could actually take a step back with only 4 starters returning to a unit that lost many of their top contributors. 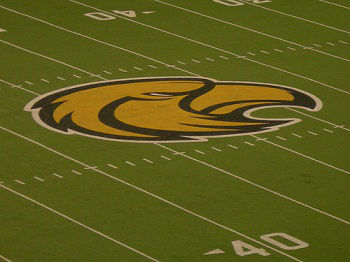 With a tough nonconference slate a bowl game seems out of reach for the Golden Eagles again this season.